Everyone wants to have better skin. Clear and glowing skin makes you feel and look beautiful. A bigger part of how your skin looks is based on your nutrition and lifestyle. While we generally have good skin when we’re younger, with age there comes wrinkles, creases and discolouration. You can age gracefully if you’re someone who practices a healthy lifestyle. 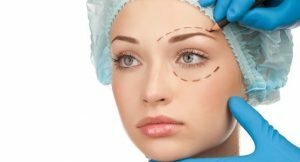 Also, you can benefit from cosmetic effective procedures and treatments that aim to provide you with better and younger looking skin. You can visit a laser clinic Melbourne CBD to improve the condition of your skin. Laser resurfacing is one of the treatments offered. It helps you get rid of your wrinkles, any blemishes or scars that you have on your skin and other irregularities. It is a procedure where pulsating beams of light are focused on to your skin where the irregular patches are. This removes the bad patches of the skin. People who can go for this option are those who have wrinkles around mouth, eyes and forehead or carry acne scars. But it is not a procedure to treat stretch marks. You will have to consult a professional to see whether you’re suited to this treatment. There are also chemical peels that focus on the neck, hands and face. They help to reduce fine lines that are found around the mouth and the eyes. If there are mild scars such as those from acne, they can be removed as well. Sun damage is one of the main problems for skin. As you get older sun damage will show as discolouration, pigmented spots etc. You can treat sun damage using a chemical peel. Your skin will look and feel younger after the procedure. Other benefits are the reduction of freckles, age spots and dark patches on skin. Right after you go through the procedure, you need to be careful as not to be exposed to the sun too much. It is advised to wear sunscreen when you go out. You can visit skin clinic Melbourne to ask about any skin problems you have and the best way to treat it. Dermapen is a treatment that uses multiple needles. It is as effective as laser resurfacing, chemical peels and IPL. There are many benefits of dermapen such as skin tightening, lifting of skin and rejuvenation, healing of acne scars and wounds, reduction of fine lines and wrinkles, improving stretch marks etc. IPL or photofacials are another treatment that can reduce the effects of sun damage, irregular pigmentation and other skin defects. You will be able to achieve a radiant complexion after undergoing this treatment. There is also no downtime which makes it a very convenient treatment for those with busy schedules.